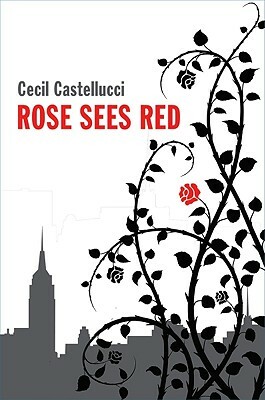 Rose Sees Red by Cecil Castellucci. Grades 7-10. Scholastic Press, August 2010. Reviewed from ARC provided by publisher. It's 1982 and the Cold War is raging. Rose, a freshman at a performing arts high school, has been in a bad mood for weeks. Burned by her best "frenemy" in grade school, she's shy to make friends and now it's the middle of October and everyone is all cliqued up but her. She feels frozen and shy until a Russian girl, Yrena. who lives next door sneaks into Rose's room one evening and the two girls decide to head out for a night on the town. The story takes place over that one crazy night when everything changes and Rose finally begins to come into her own. This is a one-fateful-night story. You know. The one fateful night when the teens stayed out until morning and everyone realized their true feelings and people stopped being afraid and started saying what they felt. And everything changed and they'll never forget it. It's life changing, that first political issue that stirs you. And it's interesting to think that American teens today are thinking about war (or realizing about war), just as teens in 1982, just as teens in 1968, just as teens in 1942, just as teens in 1862, etc. etc. The story started a bit slowly for me because I was trying to piece together the setting, but once I got into it, it wouldn't let me go. I still find myself thinking about it weeks later. I'm totally intrigued by the idea of compounds of Russians living within the United States during the Cold War. I had no idea about that - that during such a time of tension, there were Russians living in the United States, followed around by CIA agents and KGB agents. Can you imagine what it would feel like to grow up like that? I do have to say that there was an element of "after-school special" that I didn't care for (and the title, to me, sounds just like an after-school special). The kids getting together and putting their differences aside and finding out that, golly gee, we're all people and war is stupid! But the main thing is that it's a story that's stuck with me. It's kind of an odd little story and an homage to New York City. I liked it. Rose Sees Red will be on shelves August 1.